The nationally and internationally renowned National Christian Choir (NCC) is coming to Lake Magdalene United Methodist Church this Sunday, April 7th, 2019! The NCC presents music that touches the heart. From contemporary praise music to traditional hymns and anthems, from powerful songs of rejoicing to moving ballads that comfort the soul, audiences are positively impacted. The Choir is accompanied by a talented five-member musical team which includes well-known concert pianist, Michael Faircloth. The NCC is an auditioned, volunteer choir of 160 members who come from nearly 100 different churches within the five-state region surrounding and including our Nation’s Capital. The Choir is led by Kathy C. Bowman, Director of Music and Ministries, and is heard both nationally and internationally on the Choir’s weekly one-hour radio program, Psalm 95, hosted by Ms. Bowman. 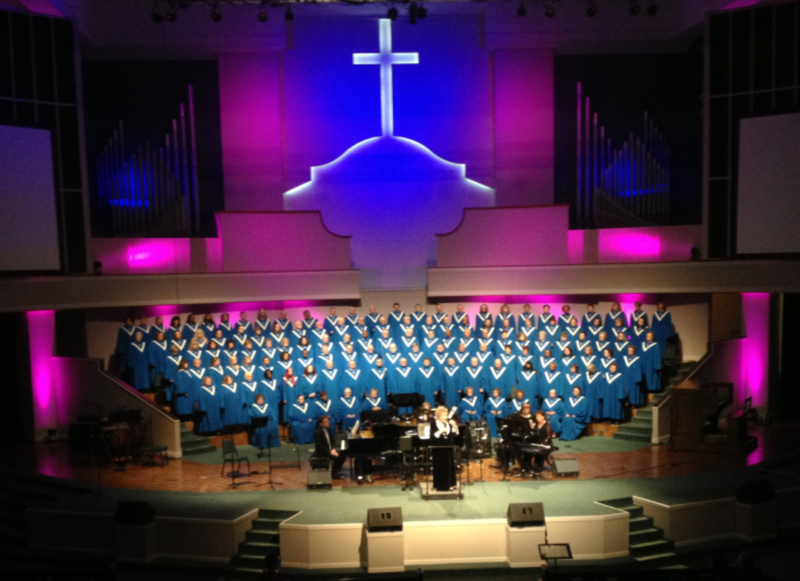 Recent broadcasts are also available for listening on the Choir’s website: NationalChristianChoir.org. The concert is at 6:00 P.M. Tickets are not required, admission is free and a love offering will be received. Join us in Heritage Hall before the concert for Burgers, Fries, and a Delicious Surprise! – a church-wide fellowship dinner hosted by the United Methodist Men. Kids under 12 and 1st-time visitors eat for FREE! Reservations are required for 1st-time guests – call Cyndie Petrus at 813-961-1254 ext. 280 to reserve your spot.